Cape Town’s newest cultural attraction, the Zeitz Museum of Contemporary Art Africa, is making a splash in the international art world. Let this dramatic new beacon — towering over the V&A Waterfront — be your stepping stone to go deeper into South Africa’s cultural sites and historic enclaves. Delve into the heart of South Africa through its cultural touchstones. 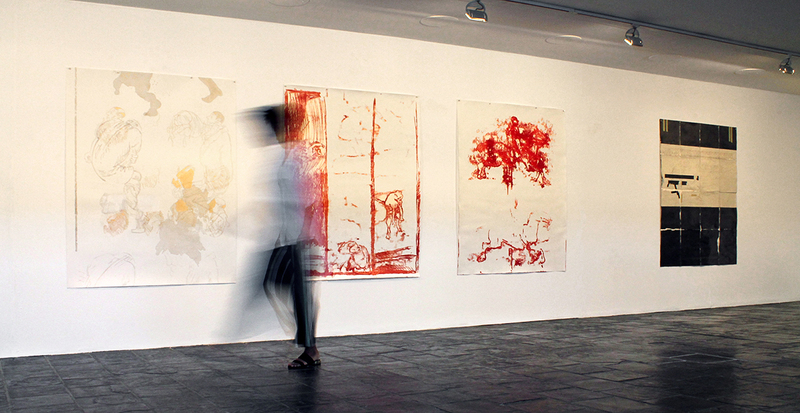 Steeped in South African history, AVA Gallery is Cape Town’s oldest nonprofit art gallery where contemporary African artists — established and emerging — have a platform for their creations. Step among rotating exhibitions that encompass a spectrum of media and themes while incubating South African-centric art: recent works have included unique maps of migrants’ paths into South Africa and a photo series showcasing communities in the aftermath of diamond mining. 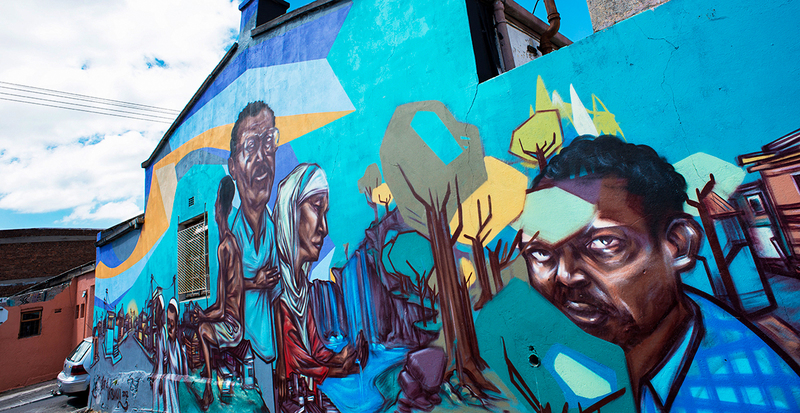 A Cape Town neighborhood reimagined through art. That’s how Woodstock has bloomed into a colorful, culture hub with large-scale murals and street-art masterpieces lining the lanes and giving new life to old buildings. Best explored on foot, this outdoor display showcases both local and international artists with an eye for socially conscious works. Where there is great wine, there is often great art. 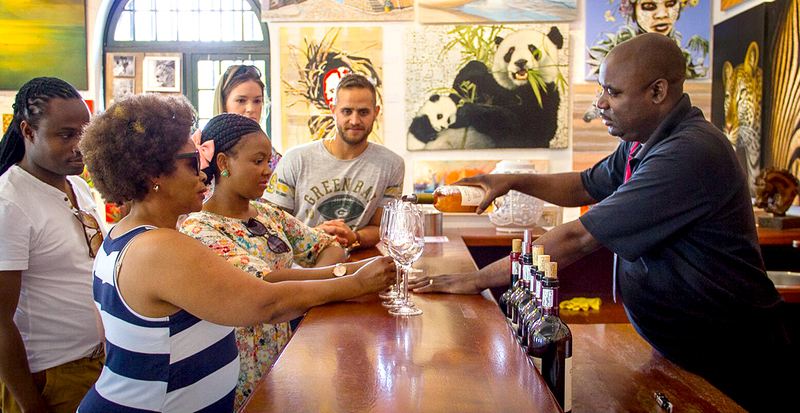 Travel deep into the wine-country region of Constantia to the celebrated Groot Constantia Homestead and Wine Museum — a three-century-old estate brimming with period furnishings and nods to South African heritage. Sip sweet Grand Constance, recreated from an 18th-century recipe, as you stroll through Art@Constantia Gallery — curated by Lyn Atterbury and James Hodgson. Insider tip: Let us arrange swift delivery of original art anywhere in the world. 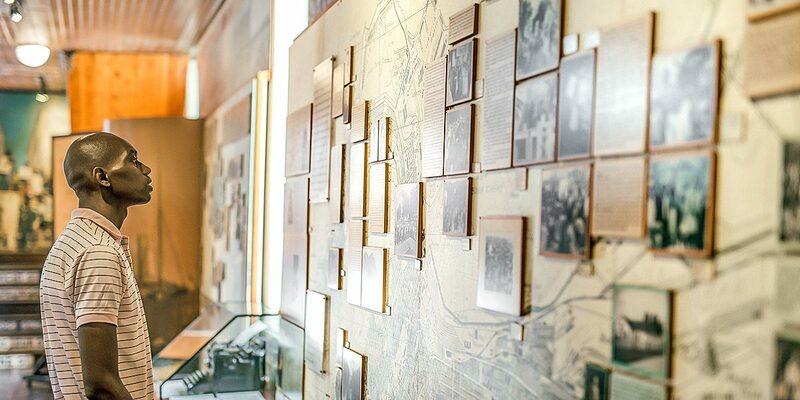 Take a tour of the District Six Museum, an important tribute to a once-vibrant Cape Town neighborhood that was systematically dismantled by apartheid policies. Cape Town’s Table Bay is home to Robben Island and the Robben Island Museum — one of the world’s most notorious prisons and known as the site where Nelson Mandela was incarcerated during apartheid. Its history is revealed on a tour of the island and the prison, offering a platform for Mandela’s and many other prisoners’ stories from its nearly 300-year history. Ready for more discoveries? Contact us to begin planning your cultural adventure through South Africa.